The BBC will offer UHD coverage of the FIFA World Cup on a "first come, first served" basis. 15 days before the first match, the BBC has confirmed it will offer all matches shown on BBC One as a Ultra HD stream via the iPlayer home page. But access will be limited to a figure the BBC describes as the "tens of thousands" of people. Only some devices support iPlayer UHD and users will need to have a broadband connection of at least 40Mbps, otherwise they are likely to be offered a lower resolution 2560 pixel stream. Below 20Mbps, UHD will be unavailable. With the announcement, the BBC has become one of the last European broadcasters with UHD capabilities to announce it will provide coverage in 4K, albeit only in a test environment unlike elsewhere. Earlier this year, Sky Germany and Switzerland's SRG SSR were first to confirm they would be offering UHD coverage. 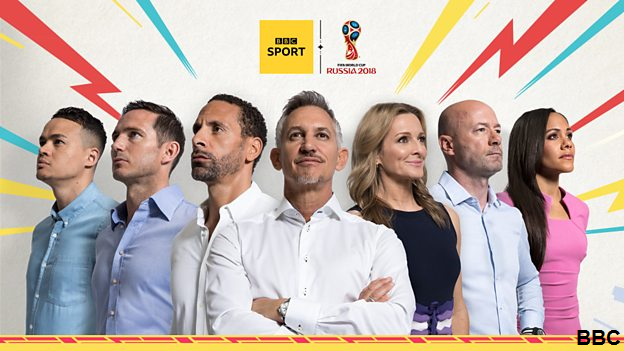 "From the very first tournament on TV in 1954 and England's finest hour in 1966, to the first colour World Cup in 1970 and then full HD in 2006, the BBC has brought major live broadcasting breakthroughs to UK audiences throughout the history of the World Cup. Additionally, the BBC is offering VR coverage: all 33 matches broadcast by the BBC will be available for free on BBC Sport's VR 2018 World Cup app. Who is showing which World Cup match?